You're invited! This Saturday, November 17, 2018 from noon until 8 pm, you will find me and 28 artists + writers in our studios at Spring City Mill Studios in Spring City, PA, for our HOLIDAY OPEN HOUSE and SALE! 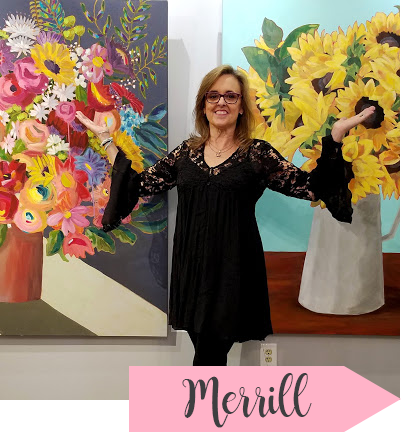 COME VISIT my studio in the SPRING CITY MILL STUDIOS building, a newly renovated knitting mill factory built in 1886, with high ceilings and tons of northern light. 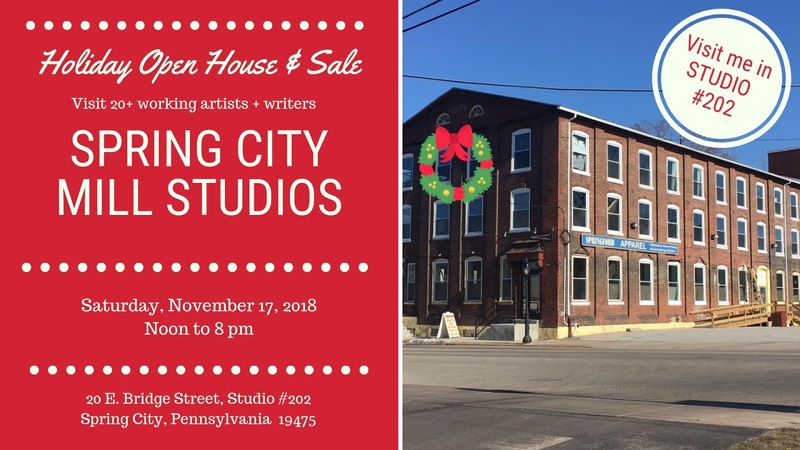 I invite you to stop by STUDIO #202 on the second floor for our HOLIDAY OPEN HOUSE AND SALE to see my new work, chat and likely laugh a lot. Mill about (pun intended) and visit with the 28 talented artists, plus writers, in the historic building every this Saturday, November 17. The address: 20 E. Bridge Street, Studio #202, Spring City, PA 19475, with plenty of free parking. Click HERE for directions.